Let's Stamp! : New year, new you, new stamps? I have to confess that I don't tend to make new year's resolutions, they always seem to be something that I don't want to stick at like losing weight, eating less chocolate and so on. But one resolution I always have on there is to craft more - I like to have at least one resolution I know I can stick to! 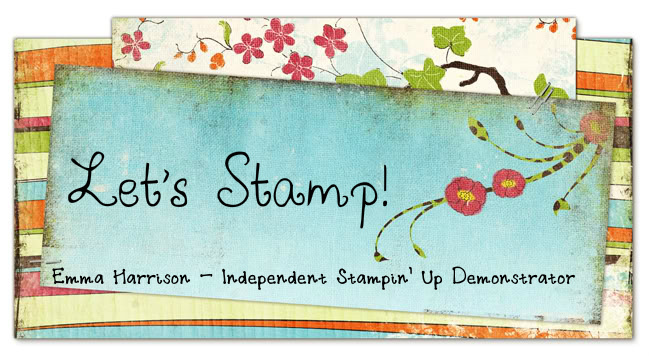 So if you've already made yours and you want to have more quality time for yourself, craft more, get out and meet people, or even just take on a role that fits around your life, why not take a look at the Stampin' Up! starter kit. Or do you have a wish list of £100 or more? If so, you can stil take advantage of all that the Starter kit has to offer. 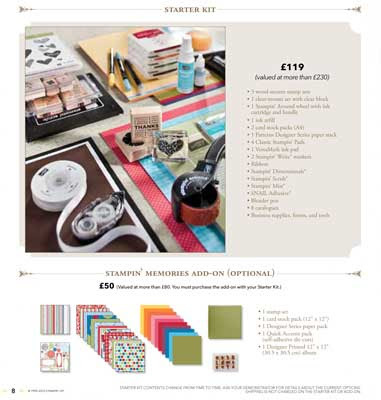 In Jan and Feb you get: £275 worth of items for just £119! Choose the stamp sets & colours that suit you! During SAB you can add on an extra stamp set for free! When you purchase the starter kit you automatically become part of my team and enjoy all the benefits that being a demonstrator has to offer. You are not obliged to purchase anything further, you do not have to hold workshops or sell products. You can just purchase the Starter Kit for the great discount that it offers. Join during SAB and you have until June to decide whether you want to continue as a demonstrator. If you decide not to continue, then the starter kit is still yours. There is nothing to pay back! If you want to continue as a demonstrator you can do so with sales of £250 per quarter. That includes your own purchases. I joined during Sale-a-bration last year and I haveloved every minute of it. If you'd like to find out more, or simply just treat yourself to the Starter Kit then drop me a line!